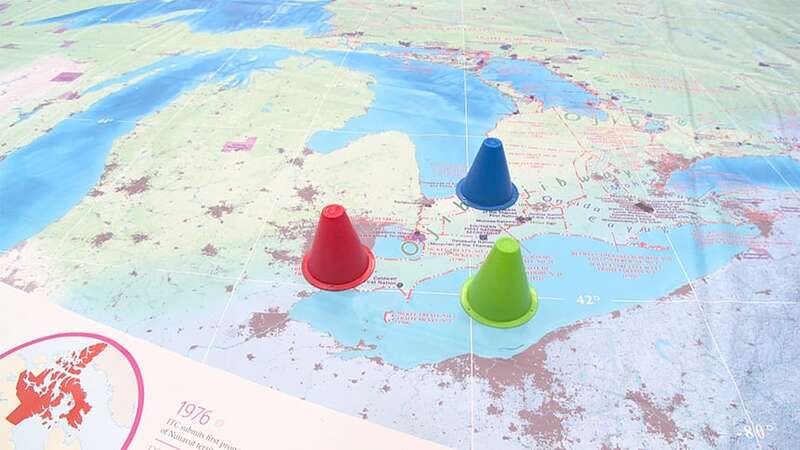 What does an Indigenous map of Canada look like? 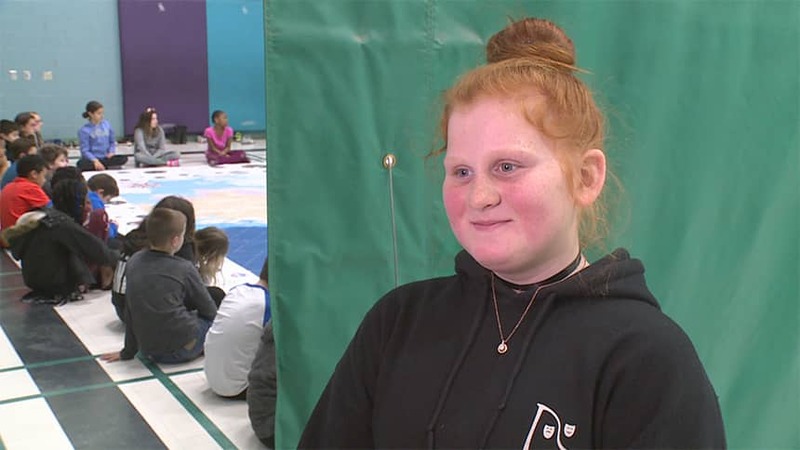 A giant map of Canada — as big as a gym floor — is moving from school to school across the country. The twist? There are no Canadian provinces, territories or capital cities on this map. Instead, it shows Canada from an Indigenous perspective. That includes where Indigenous people have lived over the years, what land they own or are trying to have returned to them. The map, which is 11 metres by 8 metres in size, comes with a guide and lesson plans for teachers. It was made to go along with four encyclopedias — or books full of facts — about the different Indigenous groups in Canada, called The Indigenous Peoples Atlas of Canada. The atlas went on sale in September 2018. It was produced by a group called Canadian Geographic Education, with help from more than 100 Indigenous storytellers, knowledge keepers and writers. In January, the Alberta government bought 1,600 copies of the atlas for schools in that province. Karen Wright-Fraser, a Gwich’in contributor to the project, remembers showing the map to an Indigenous educator. "She started to cry,” Wright-Fraser said, because “the youth that she works with in the school have never seen their name on a map." "Now they're going to see themselves and they're going to feel like we matter." Canadian Geographic Education will be sharing multiple copies of the map with schools across the country over the next four years. Because it's so big, they have to transport it in a large hockey bag. 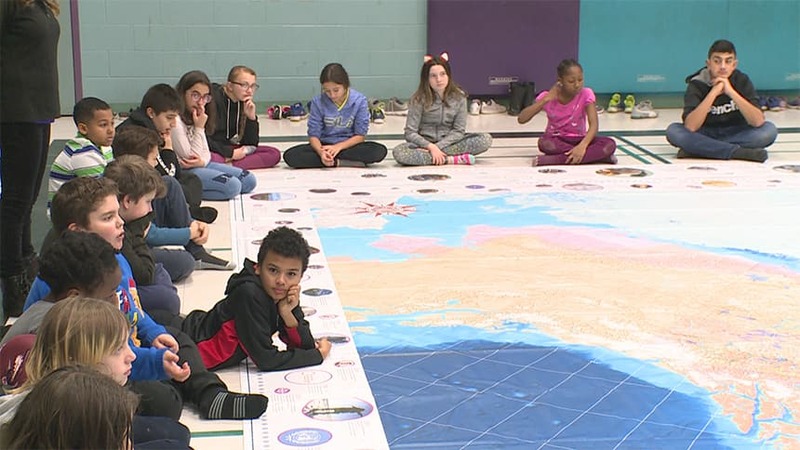 Click on the video at the top of the page to see the giant floor map in action at Our Lady of Perpetual Help Catholic Elementary School in Windsor, Ont.